Iodine is a health-promoting trace element essential for life. Its primary biological role lies in the production of the thyroid hormones triiodothyronine (T3) and thyroxine (T4). They contain four and three atoms of iodine per molecule, respectively. Iodine is a health-promoting trace element essential for life. Its primary biological role lies in the production of the thyroid hormones triiodothyronine (T3) and thyroxine (T4). They contain four and three atoms of iodine per molecule, respectively. The thyroid gland actively absorbs iodide from the blood to make and release these hormones into the blood. Health-conscious people, who engage in sports activities, and vegetarians are often the most likely to develop low iodine levels. At the same time, even though we are advised to lower consumption of salt, reducing the intake may lead to lower levels of iodine. Fortunately, there exists a compromise now. Sea-Iodine™ is a low-cost proprietary formula that can be taken to support optimal iodine levels. Using natural ingredients from organic marine algae, it brings you the health of the sea while avoiding the dangers of excessive salt intake. 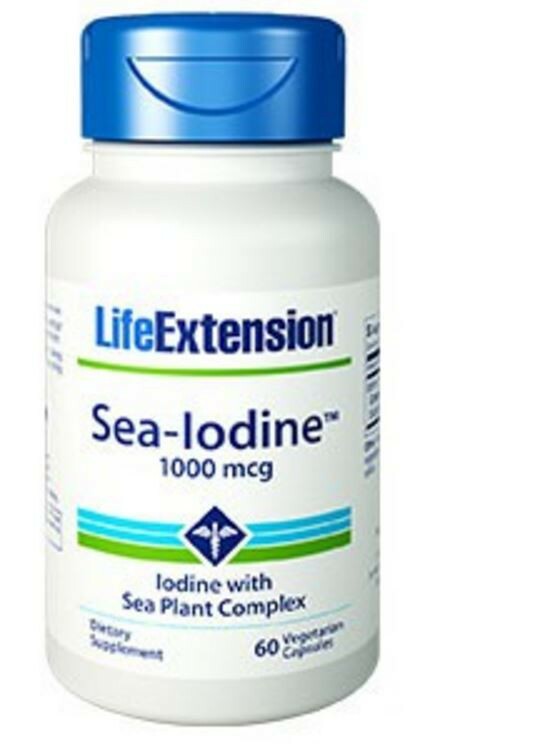 The algae found in Sea-Iodine™ provide you with over 667% of the Recommended Daily Value of natural iodine. 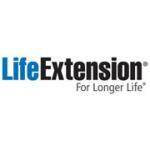 For those who would like the convenience and economy of taking vitamin D along with their Sea-Iodine™ in one pill, Life Extension also offers Vitamin D3 with Sea-Iodine™.